This battery-powered handheld blower is a great choice for suburban homeowners who demand great power. 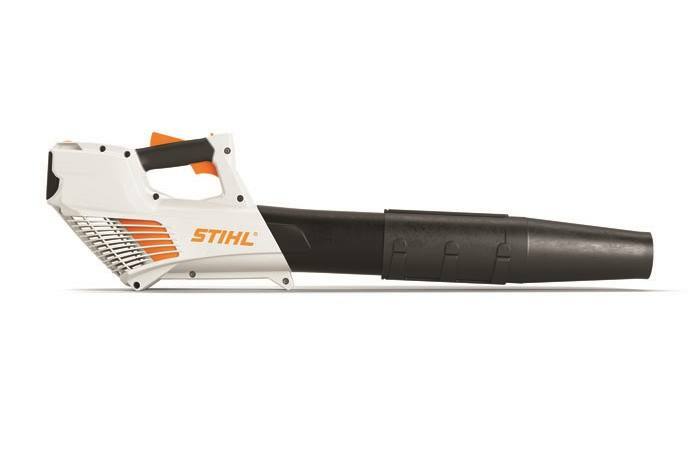 on a single charge with this STIHL AK Series handheld blower. The BGA 56 is also just 7.3 lbs. (with AK 20 battery) for easy portability and maneuverability. And when you're done, hang it on the wall from its onboard hanging slot. *Newton is the force needed to accelerate 1 kg of mass at the rate of 1 m/sec2. **Tested in accordance with ANSI 175.2 standard. All specifications provided by Andreas STIHL AG, as of April 2016. Batteries and chargers can be purchased separately or as a set combined with tool.